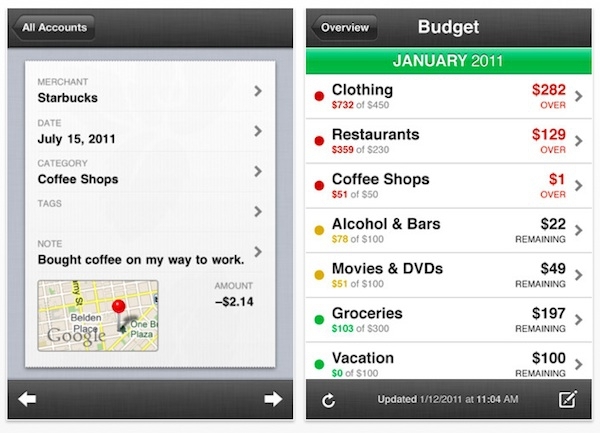 "Mint.com announced the immediate availability of Mint 2.0 for iOS on Wednesday. The new version of the financial management app added an iPad-native interface, along with support for viewing budgets and other account information without an Internet connection." It's a free download from iTunes, and actually not a bad finance app. I started using Mint about 6 months ago, and while I still use Pageonce, I'm finding that Mint is working out better for me as far as timely information. What do you use to keep your finances in order?